Contemporary style with open salon/ dining arrangement that include hardwood floors and wide windows allowing for plenty of natural light. Door and window leading to the aft deck can be latched open giving a nice indoor / outdoor experience. 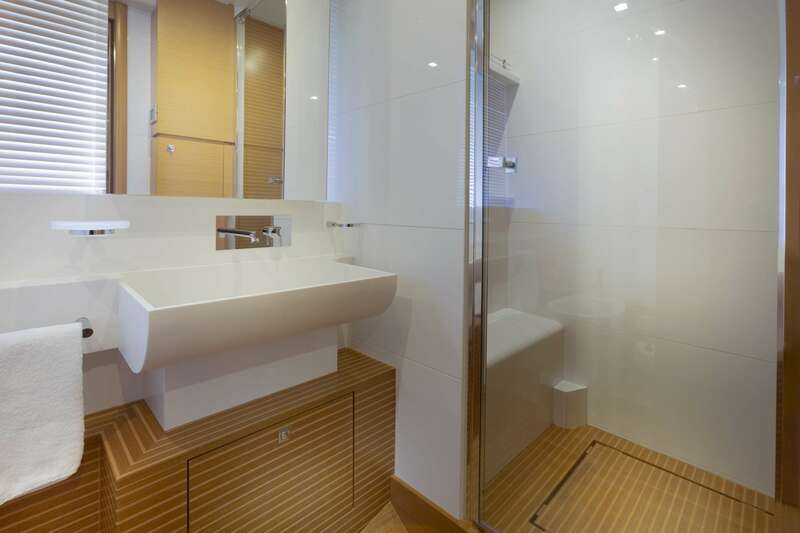 All guest staterooms are accessed via a midship stairway. 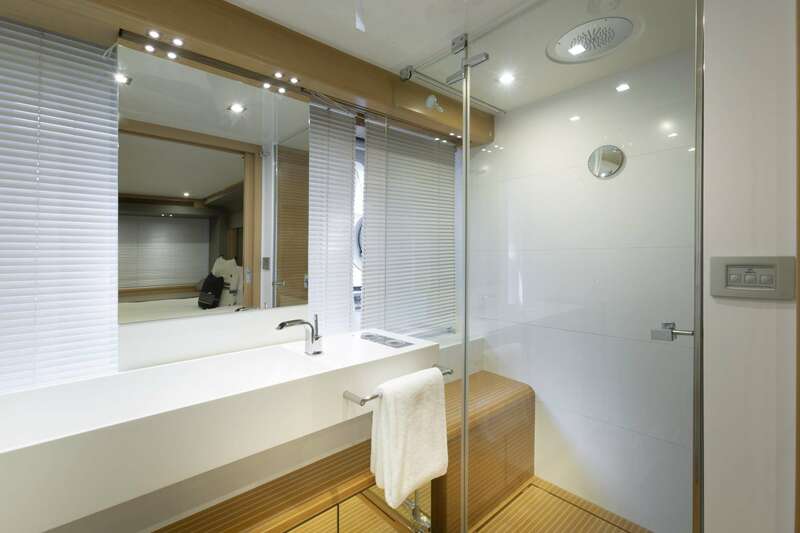 The Master Queen Bed is centrally located with a built in lounge port-side and a private head separated by frosted glass doors from the sink and rainfall shower. 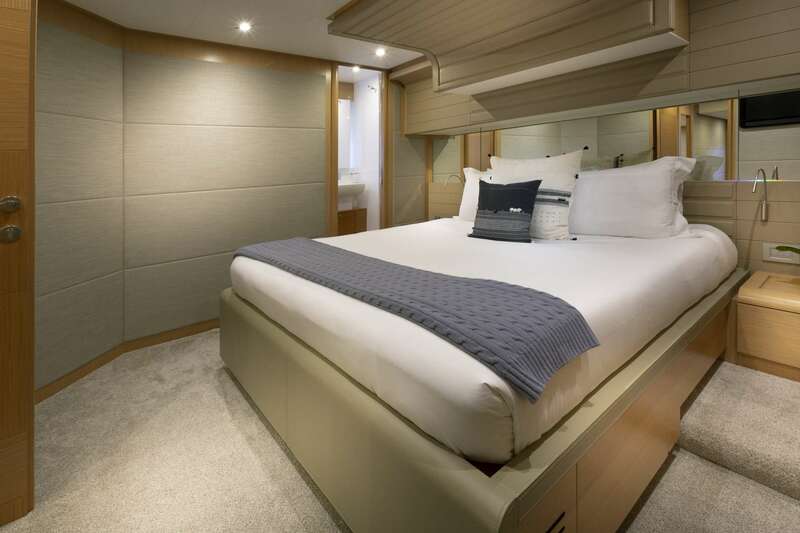 Forward, the VIP stateroom offers a Queen Bed, while the port side stateroom offers two twin beds that can be converted to a Queen bed both ensuite with shower stalls. 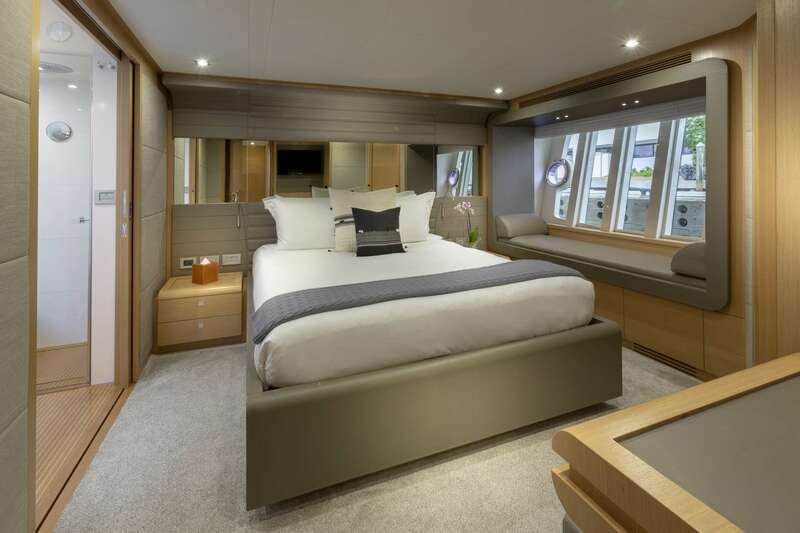 The twin cabin located starboard features crisscross style bunkbeds ensuite with shower stall. 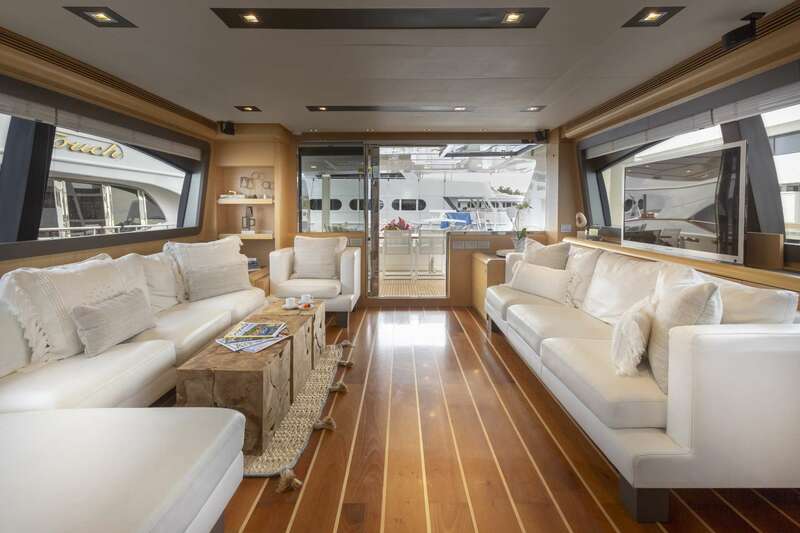 The flybridge has a sunpad to port giving plenty of room for lounging. 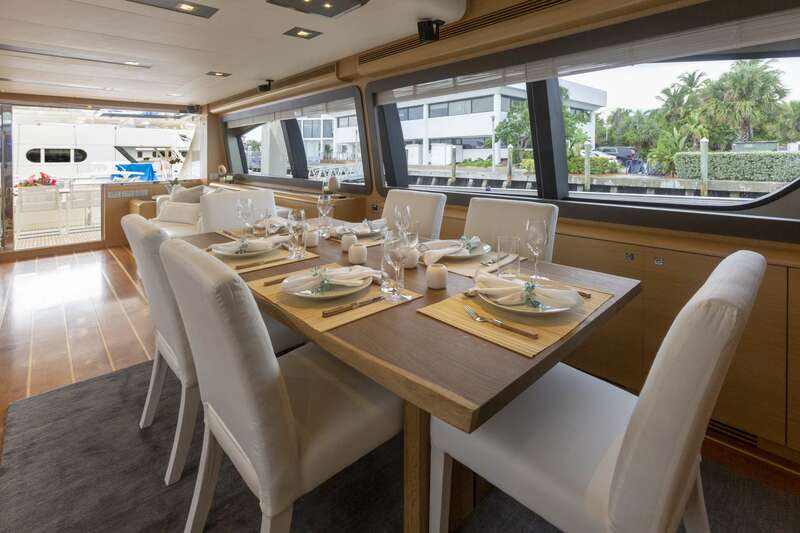 Forward of that is a dining area to portside and aft of the helm station seating is fully shaded by the retractable top and a bbq grill/ service station for easy access sits to starboard across from the table. 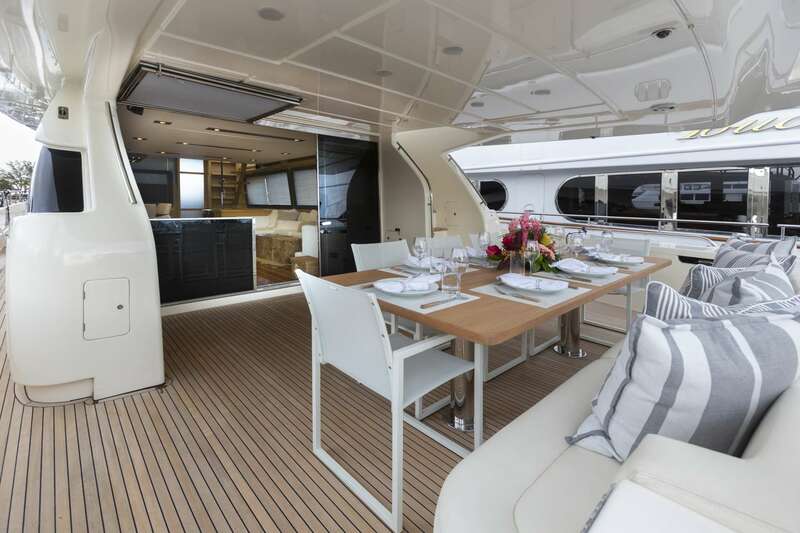 Guests can enter the flybridge via an interior staircase midship or aft deck. 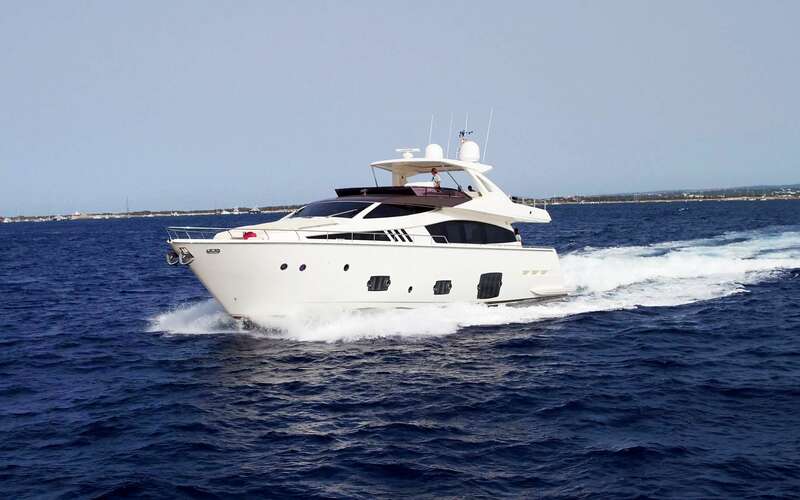 Additional sunning and seating to enjoy the great view while slow cruising or at anchor is a large sunpad and sette with a table on the foredeck. The hydraulic garage opens to create a large beach club area. 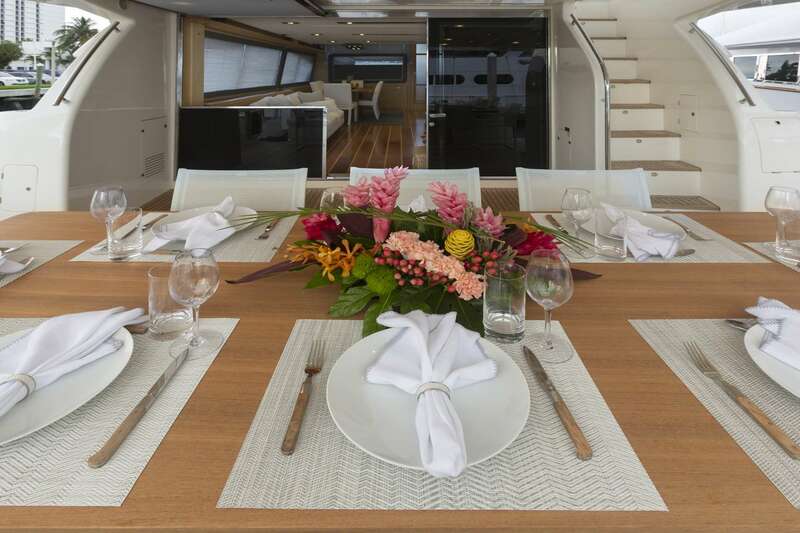 Three dining options - aft deck, inside salon/dining or the flybridge give a nice variety on this size yacht. The main deck has a full walk around deck.